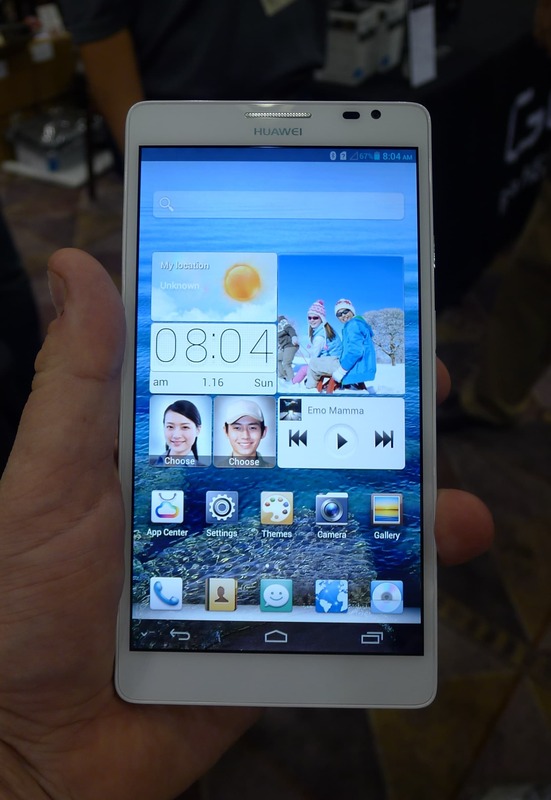 Huawei startled the gadget world a couple weeks back when they first unveiled the 6.1" Ascend Mate. Aside from a few 7" Android tablets equipped with phone functions, this is the smartphone with largest screen on or off the market. I got to play with it for a few minutes tonight. 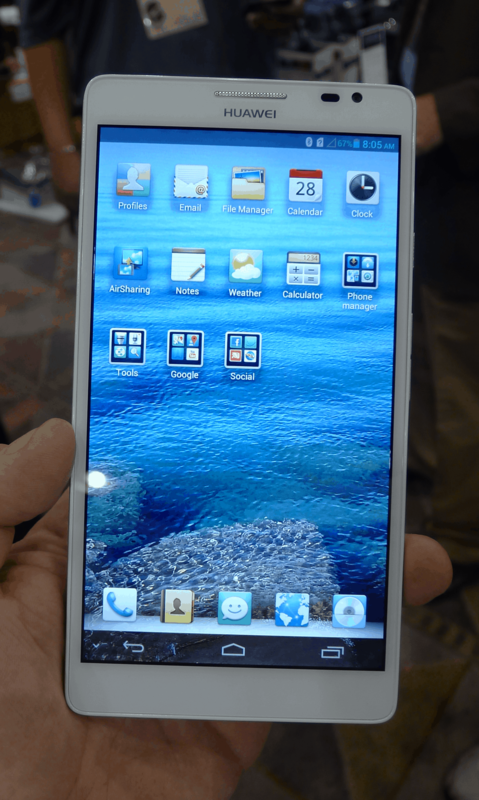 When I first saw pictures of this phablet, I couldn't understand why anyone would want it. I know that it looks huge, but it turns out that this phablet is much easier to hold than one might think. I know from experience with a 7" tablet just how unwieldy they can be when you try to use them one-handed, but the Ascend Mate is a lot lighter than I expected and it is much easier to grip. I wasn't able to do much one-handed, but I figure I could probably make and answer phone calls without using my other hand. The Huawei rep I spoke to officially denied any details on the price or release date. I was given some info on the specs. Basically the spec sheet confirms the 1280x720 screen resolution, 1.5GHz quad-core CPU, Wifi/Bluetooth/CDMA, 8MP rear and 1MP front facing cameras, and the generally top of the market specs of the phablet. The projected battery life is 9 days in standby, thanks to the 4Ah battery. It's going to be available in any color you want so long as it is black or white. This phablet could easily give the Samsung Galaxy Note a run for its money. And when it comes to the US, I definitely plan to check it out in a store. What did the build quality feel like? It’s a pre-production model so I’m not sure that’s relevant. Even though it was very light, it seemed solidly built.